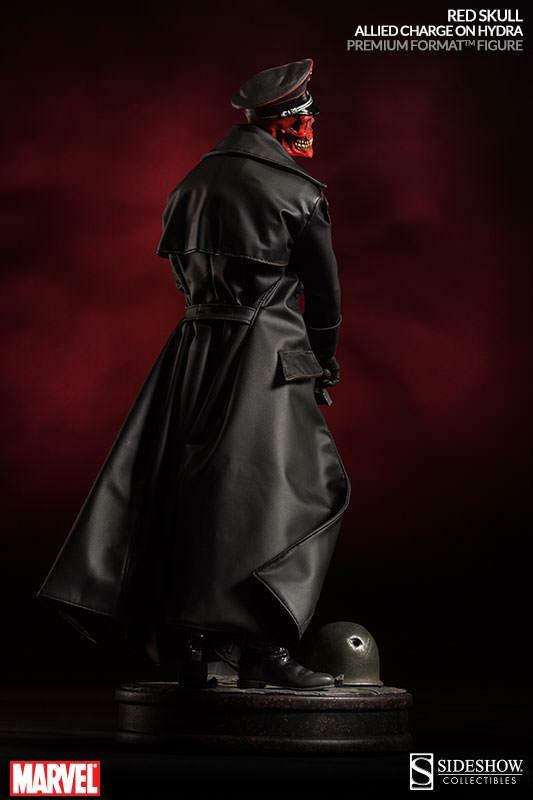 Sideshow Collectibles has released their super awesome yet creepy collectible action figure for the Marvel HYDRA villain Red Skull. This is a great deign for the character, and I love how it turned out! 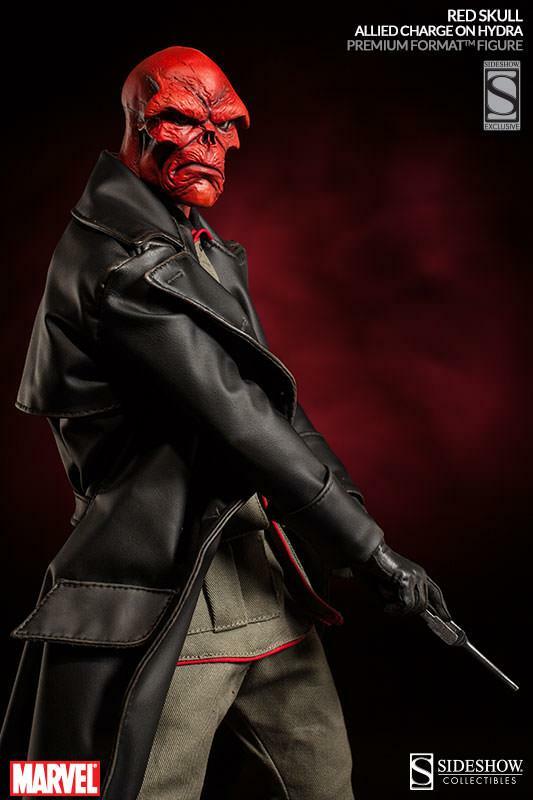 Marvel's first and most enduring supervillain rises up against freedom, liberty and above all, his sworn enemy, Captain America, with the Sideshow Collectibles Red Skull - Allied Charge on Hydra Premium Format Figure. Braced for battle on a World War II era cobblestone base, the ruthless Red Skull plots his course of destruction, eager to crush all those who oppose or stand in his way. The nefarious leader of the Hydra terrorist organization proudly bears his evil insignia in hand-tailored German style military fatigues and a full length trenchcoat, ready to shoot from the hip at any moment. Thwarted for the last time, Herr Schmidt confronts his rival with a menacing grin, the true face of evil incarnate. You can preorder it here for only 369.99! That's not a lot of money for an action figure… right?